Abstract: Recent research has begun to explore cognitive domains on the basis of semantic categories such as spatial metaphors, and bodily experience, while the hard problem of consciousness studies is defined as the explanation of subjective experience or qualia (*). The Cube of Space is a multi-dimensional model of psychological space and an integrated framework for the metaphors of embodied and situated experience. The directions of the Cube are psycho-spatial and symbolic and represent centers or spheres of emotional consciousness which leave their imprint on our neurology, our cognitive processing, our symbolic thought and expression, and our experience. Metapsychologically, the Cube is a description of "the underlying conditions of possibility for the formation and existence of human reality as it's experienced by the psyche"  modeled in 3-D virtual psychological reality. Obey your superiors, stand on your rights; face the future, put the past behind you. Don't be left, do the right thing. Center yourself. Kiss up, kick down; look forward, don't look back. Sinister implications, right away. Look inside. Held in high esteem, an object of low regard. Face uncertainty, let the past take care of itself. The devil's on your left shoulder, an angel's on your right. The still voice inside. Lofty ideals, basic instincts; sailing into uncertain waters, back in the old days. Feminine left, masculine right. Inner space. Higher power, lower self; you've got your life in front of you, time's running out, don't get left behind. Left is weak, right is strong. In the middle, at the center, where it all comes together. Summary: The meaning of the Cube of Space is lost if it is not understood as a description of our own psychological reality. The space in the Cube of Space is our own psychological space and its dimensions are the psychological dimensions of our own experience. We can easily find its "common-sense" descriptions in our own experience and verify their accuracy or usefulness for ourselves. The Cube of Space describes the human reality of Adam Qadmon, archetypal man, as composed of an inner life formed in the first four Sephirot (spheres of consciousness/energy) and the axes and center of the Cube, and an outer life formed by the last six Sephirot and the opposing faces of the Cube. The inner life is timeless and the outer life is experiential and developmental. Inner space, or the interior space of human consciousness, is formed by three primary energies, represented by the Hebrew "Mother" letters: Aleph, maximum energy/consciousness, Mem, minimum energy/consciousness, and Sheen/Seen, the energy mediating between them. Outer space or being is the reflection of those energies as existence, life and experience. Existence is formed by the polarity of self and body/other, life by the polarity of future and past, and experience by the polarity of feeling and thought, or stimulus and response. The psyche itself, the seventh direction of the Cube, is at the center, through which all the energies pass. Symbolically, our ex-is-tence is defined by self and other, or inner energy and its outer body, with our spiritual goals above and our material development below, and our standing in society. Our life is defined by the uncertain future we face before us, and our past by the actions we have perfomed and put behind us. The experience of life in existence is made possible by the unconscious impressions of sensuous reality entering our receptive left hand (right-brain) and being met by the cognitive response and action of the right hand (left-brain) Again, in the center is the psyche, the eye of the needle and gateway to our Soul. This is the view of Adam Qadmon, realized Man. The view of most of humanity is the reverse, as we turn our backs on the future and unconsiously relive the past, while confusing thoughts and feelings and material and spiritual goals. How do we know where we are going, if we don't know where we are? We have seen that there are spatial metaphors, neurologically mapped and linguistically programmed. But what of the metaphor of psychological space itself? What is it a metaphor for? Where is the space? And what are its metaphorical dimensions and symbolic qualities? On the deepest level, psychologcial space is a contradiction which fuses the two opposites of mind and matter: physical 3-D space and non-physical mental functioning and subjective experience. What could be spatial about psychology and what could be psychological about space? The Cube of Space is a psychological map that requires us to think psychologically and symbolically about the organization of our own experience in order to be able to read it and find the space it maps. We can use the model of the hypercube, a projection of a 4-dimensional cube into 3-dimensional reality, as a starting point for thinking about the "dimensions" of psychological space. The Cube is a 10-dimensional model for the totality of human experience and possibility. Our experience of those dimensions, in both material and psychological reality, is a 3-dimensional projection of a higher-dimensional structure existing within and beyond space-time, which is the structure of our own multi-dimensional consciousness. The Cube of Space maps the intersection of a multi-dimensional structure with 3-dimensional consciousness. What appears as an element of the Cube in psychological 3-space is the imprint of a higher dimension in the total structure. The directions of the Cube are psycho-spatial: they are symbolic and qualitatively as well as spatially organized, (for example: up-other, down-self, front-future, back-past, left-sensation, right-perception, center-psyche) and its categories are experiential (existence, life, experience). We can look at the structure and organization of the psychological space of the Cube from the inside-out, starting with the two basic categories of inner and outer space. 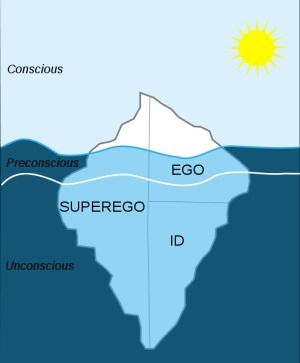 It is difficult to begin to visualize psychological space, though most feel they have some awareness or subjective consciousness of an "inner" experience. The Cube differentiates psychological space into an inner, non-developmental (no)space and an outer, experiential and developmental space. Inner inner space is defined by the core processes of the materialization of consciousness; outer inner space is defined by the expansion of the core processes into experiential space where psychological development can take place. The three basic axes/categories of existence, life and experience are extended into the six opposing faces of self-other, future-past and feeling-thought. The axes define flows of energy: from top to bottom, from front to back, and from left to right, symbolizing a flow from spirit to matter, from future to past, and from sensation to perception. Each of the twenty-two structural elements of the Cube -- center, 3 axes, 6 outer directions, 12 edges -- is specified by one of the twenty-two letters of the Hebrew alphabet, representing a "semantic prime" or "fundamental power" of creation. The initial transformations of energy in the first four Sephirot defining Adam Qadmon's inner life and space are driven by the three Mother letters Aleph, Mem and Sheen. These letters, plus Tav, formative of the Psyche, complete archetypal man's true interior space, beyond the developmental dimensions of the last six Sephirot. Together, they form the Ten Sephirot Belimah of the Sepher Yetsira. When projected or extended into the outer dimensions, Aleph, archetypal maximum energy/consciousness, completely beyond space-time, becomes its opposite, Yod, existence in duration. Mem, existential minimum energy/consciousness is the matrix for life, Hay. Cosmic Sheen, their interaction, becomes union (Waw) or experience of life in existence. The axes differentiate into polarities in psychological developmental space as the faces of the Cube. That means that opposing faces are related as two aspects of the fundamental energy of their axis. Existence differentiates into self and body, life into future and past, experience into feeling-thought. The Cube of Space as described by the Sepher Yetsira is a complex, multi-dimensional, multi-layered, abstract object. All its categories are related and semantically linked across multiple levels of description, and we will use only a few of them in our outline of psychological space. The most basic categories of the Cube are the letters of the Hebrew alphabet (autiot) and the numbers of the Sephirot (spheres of consciousness/structuration). In the outer dimensions of psychological-developmental space, we find the multiple, layered specifications of sephirot, formative letter, planet and contrary quality. We will have the opportunity to see how all these levels are related and integrated in our expansion of outer psychological space, beginning with the Sephirot. Because we are going to use a few symbols drawn from the symbolic languages of the Hebrew alphabet and ancient astrology, see Astrological Equations in the Sepher Yetsira if you are unfamiliar with the planetary symbols and the alphabet of basic "formative operators" referenced above for more background. In any case, behind each symbol, letter or number, is a precise description of its underlying energy and inner meaning and its relationship to other symbols. We will develop our outline of metapsychological space by adding layers of symbols and descriptions which are actually equations that need to be solved and integrated within oneself. Where else would you find a precise description of your own inner psychological space? The numbers of the Sephirot define the most basic structural aspects of the dimensions of the Cube. We can use the basic formative meanings of the numbers to build our first structural level and gain insight into how the dimensions are psychologically defined and logically and common-sensically organized. The first outer sepherot after the interior first four is 5=Hay/Life. The sixth is its opposite, 6=Waw/Union, defining the existential axis. These are the most generalized descriptions of the sepherot, underlying formative letter, planet, contrary-quality and other levels of qualification. We might ask: what are the most basic qualities of the basic categories of human reality? Psychologically, what is the deepest level of meaning of existence, life and experience, and their projections as body, self, future, past, feeling and thought? The Cube says that the existential axis is defined by a flow from life (of the body) to union (self); that the life axis is defined by a flow from the indeterminate, uncertain (future) to the unconscious, unconditioned (past); and experience is defined as a flow from existence (sensuous reality) to formation (perception/thought). Next, we add the Hebrew formative letter associated with the Sephirot. When a question is raised whether a scientific term is a sign or not, there will be no doubt that the word representing the term is one. Whatever a quasar or quark really is, the words "quasar" and "quark" are undoubtedly signs, created artificially to designate esotermic phenomena. But what happens if someone postulates that the enormous energy emitted from a quasar erupts from the word "quasar" itself? What if a scientific system arrives at the conclusion that the mountain emerges from the word "volcano"? In such a case, it will be possible to surmise that the word is the signified, while the material representation is the sign. This is actually the system presented by the Sepher Yetsira: The letter of the alphabet is the source of the planet, and not a sign by which it is designated. The formative letter ("the source of the planet") adds another level of categories which relate to the first two (axes and sephirot), and further differentiates and characterizes them. Psycho-spatially, up/other is a container for life and down/self is a union of inner movement; we resist the indeterminate future in front of us and structure it with what we turn our back on (repetitive unconscious actions); our feeling of what's happening is mostly unconscious and the formations of our thoughts have their roots in cosmic consciousness or universal mind. As our metapsychological model unfolds, we can see better how the fundamental categories are logically related. Existence is composed of self-other relationships (starting with the body). Life is the course of psychological development ("the maturity we have not yet attained") determined by our future conflicts and our past actions. The experience of human reality -- life in existence -- is made possible by sense-perception. The primary categories of reality are psychologically dimensionalized and spatially organized. In the universe of psychological space, they are symbolized by the astrological planets, which differentiate the inner flows of the three axes into the six outer centers of consciousness/energy. As with all our formative "translations," the terms that we have been rendering as the psychological categories of self-other, future-past and sense-perception (as well as psyche) are all defined by specific equations in the meta-structure of the Cube. We will use one example to show how the Cube defines our psychological future with the equation for the planet Mars. What is the future, psychologically? The Cube defines it on multiple levels: as indeterminate and unpredictable and the source of real possbility (Sephirot number); as our resistance to the possbilities of own development through the repetition of unconscious actions (the psychological past) (formative letter). The next step is the energy of the planet, which is "formed" by the Hebrew letter, and which in turn forms the six faces plus the center of the psychological Cube of Space. "Mars" as an arbitrary linguistic symbol tells us nothing about the qualities of the abstract energy it refers to, except as it points to a mythological reference (Aries (Greek) or Mars (Roman) as the God of War). As we shall see, the mythological associations of conflict and war are derivatives (shadows, really) of the meaning of the true "god" behind the word. The sephirotic number and formative letter are simple, one letter designations. The Hebrew words for the planets are complex multi-letter "equations" for the energies they refer to, and exist in a hierarchy or matrix of related equations. Beside being logically and meaningfully related to each other, the planets are related upward to the formative and sephirot, and downward or outward to their own (contrary) qualities and their signs and formatives. Multi-dimensional abstract objects have multi-layered and interconnected levels of meaning. We'll scratch the surface with the multiple layers of meaning of Meadim, the Hebrew word for the planet Mars. Meadim, the equation for Mars, the psychological quality in front of us, is spelled Mem-Aleph-Dallet-Yod-Mem. The equation for archetypal man, Adam, is spelled Aleph-Dallet-Mem. Mayim, the sea or waters, is spelled Mem-Yod-Mem. The direction East is spelled Qof-Dallet-Mem. Meadim is then defined as timeless Adam (itself Aleph in Dallet-Mem, blood) in the symbolic waters of existence or duration (Mayim). All of the directions are described by similarly complex planetary equations. But in only one does Adam Qadmon see himself in a state of resistance and conflict between the spiritual Aleph and the material Yod (Meadim). At still another level, M'Qaddam, The "East," or symbolic future of Adam is Adam himself with cosmic Aleph, Qof (Cosmic Consciousness) substituted for Aleph: Qof-Dallet-Mem instead of Aleph-Dallet-Mem. Because the flows of energy are one-way but experienced as dual (according to our orientation), the energies of the planets have contrary psychological qualities. Levels of description: we now have 2/Bayt/Container forming Shabbatai/Saturn with the contrary qualities of alive and dead at the fifth sepherot of 5/Hay/Life and 3/Ghimmel/Movement forming Tsedeq/Jupiter with the contrary qualities of uncertainty and peace at the sixth sepherot of 6/Vav/Union -- defining the existential axis as a polarity or binomial. Etc.. The contrary qualities are logical alternatives for their specific spheres of emotional consciousness. Our bodies (spiritual lives) are alive or dead; our selves are uncertain or at peace. Our futures are shaped by foolish and wise choices; our past by our greedy or generous actions. Our desires are impure or pure; our responses are selective or go to seed. And the center of human psychological reality, the psyche, has no qualities at all except for the binding and release of energy. No one seems to have noticed that the classical Virtues and Vices have a psycho-spatial organization --impatient with others, pride in self, envy shapes the future, greed the past, impure left, grasping right, depressed core -- and that the outer Sins form pairs which define axes: Anger-Pride (other-self), Envy-Greed (temporality), and Lust-Avarice (experience as feeling-thought) which determine directionality: from above to below, from front to back, and from left to right. With the emotional coloration of the virtues and vices, we now have five levels of interrelated meaning for each of seven psychological directions deriving from three axes and the center of the Cube. Each direction is internally consistent and logically paired with its opposite across each level. What was called a sin in classical times we now call emotion and treat with drugs and mass entertainment. The Cube defines seven primary states of "emotional consciousness" and organizes them in psycho-spatial directions. Dante, following classical wisdom and a pre-perspectival view, organized them in triads and put Sloth in the center. 1. Pride: Carrying heavy stones. Rotating one of the triangles of the hexagram off the page into the 3rd dimension restores their relationship in the Cube. The primary triad of 5-6-7 (body, self, future) determines the course of psychological evolution of the individual. The secondary triad of 8-9-10 (past, thought, feeling) records the experience. The definition of terms presents problems in thinking about the structure of consciousness or the mind-body problem. What is consciousness, awareness, perception, cognition, thought? Or sensation, feeling, desire, emotion? How are they related to each other and to the larger categories of existence, life and subjective experience? The terms we have been using to describe the categories of the Cube of Space are translations of the precise, semantically-accurate (non-arbitrary) equations of the Sepher Yetsira. Even in translation, their consistency and logical organization is easy to see. The Cube, for all its complexity, is a "common-sense" model: its categories and structures link the psychological and experiential worlds with a psycho-spatial metaphor of emotional consciousness and psychological development that puts the individual at the center of his or her experience and organizes it in a consistent, common-sense way. The Cube distinguishes between thought and consciousness and between feeling and emotion. The seven states of consciousness represented by the faces and center of the Cube are all emotionally qualified. Feeling itself is only one of the directions; it just happens to be the one in touch with the sensuous reality of physical existence. Both poles of experience -- sensous reality and feeling -- and -- perception and conscious thought -- are only two of seven possible dimensions of emotional consciousness. Rather than Consciousness being the feeling of what happens, what happens and its felt experience is one of the facets of consciousness. The Cube explodes the Cartesian dilemma with higher-dimensional geometry (a map of mind becoming matter and matter becoming mind) and by showing how mind connects with the matter of felt experience in order to actualize developmental states of consciousness. To review, we've outlined the structure of the Cube of Space as composed of an inner space defined by the axes and center, and an outer space defined by six opposing faces. The first is timeless, the second responsible for psychological evolution and development. The seven centers of emotional consciousness (faces plus center) define the primary emotional contexts for human experience as an individual existence in development. To complete our metapsychological outline we need to define the twelve outer edges of the Cube. What do they represent? Unlike the axes and faces, their energies do not pass through us and would evade our perception were it not for the foci of the faces. Metaphors for the boundaries of our experience, the edges describe developmental stages in the evolution and involution of energy. Defined by the intersection of the faces, the edges form active environments for the energies of the seven directions, facilitating the development of emotional consciousness in different areas of experience. The edges describe twelve states or stages in the organization of physical and psychological energies. They define the parameters of psychological development, sometimes leading to the building up of structures, sometimes to their tearing down, depending on the direction of evolution or involution. Zodiac means path. The edges are pathways for the transformation of energy/consciousness, and have been interpreted in many ways, usually in circular mappings. The circular zodiac, like the Tree of Life, is a 2-dimensional projection of the same higher dimensional object that the Cube represents in 3 dimensions. Both projections lose degrees of freedom as their semantic structure is reduced to 2 dimensions, and we miss the information contained in the third axis, which was not available to the pre-Renaissance mind, as we have seen with Dante's otherwise faithful representation of the Emotional States and their Cures. We will translate various twelve-fold cycles into 3-space and map them to the edges of the Cube for comparison. The best way to understand the role of Freud's metapsychology is as a two-fold set of basic, "transcendental" concepts: on the one hand, these concepts represent some of the underlying conditions of possibility for the formation and existence of human reality as it's experienced by the psyche; on the other hand, these concepts serve as possibility conditions for the analytic interpretation of this same field of human experiential reality (in short, as possibility conditions shaping both the subject of psychoanalytic investigation as well as the procedures of the agent-analyst carrying out this investigation). Adrian Johnston: Review of Boothby's Freud as Philosopher. Over 100,000 Google links for "psychological space." Each axis is initialized by one of the three roots of the Name YHWH. The expansion of the Name in triads (3-space) creates psychological-developmental space in man. The "Sealing" of the outer directions completes the transition from inner to outer psychological space: all possible permutations of the letters Yod (existence), Hay (life) and Vav (union) taken three at a time seal the faces of the Cube. Aleph externalizes as Yod (up-down: existence), Mem as Hay (front-back: archetypal life) and Sheen as Vav (left-right: union/copulation). The oppositions contained within each seal's triad (Yod-Hay-Waw, Yod-Waw-Hay) become explicit in the outer directions and the faces of the Cube. Each pair of opposing faces belongs to one of the three primary categories: existence, life and union. In experiential-developmental space, these categories become the polarities of self-body, future-past and sense-perception or feeling-thought and are symbolized or specified by the equations for the astrological planets and their formative letters.